No matter what your stance on pit bulls is, no animal deserves to this. 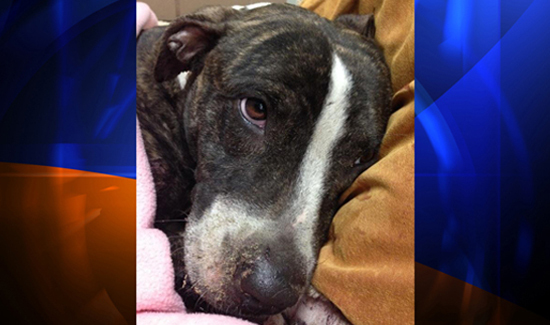 According to L.A. news station KTLA, Tampa police found Cabela—a pit bull mix, pictured above—shot and bleeding, tied to a set of railroad tracks in the city’s Sulphur Springs neighborhood on Wednesday. Folks called after they heard someone fire a gun. Cabela was hit by three shots—two to the neck and one to the shoulder.